To protect your car’s beauty, you have to wax and wash it regularly. While you are using a good protectant, you will be able to improve your car’s overall look and make it shine. 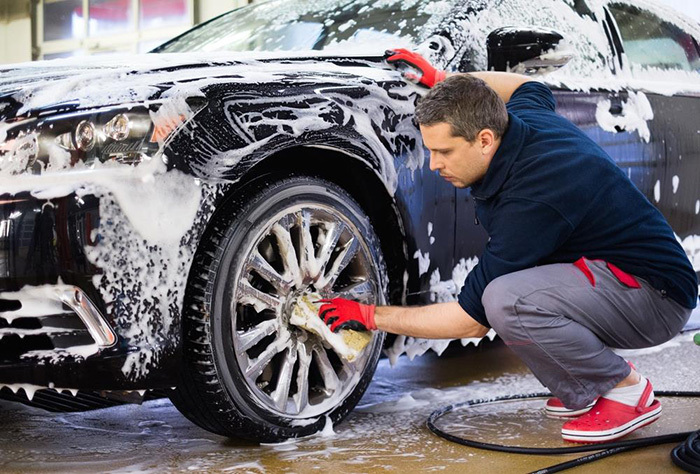 The protectant is considered the final step to provide your car a great-looking shine. Almost all cars are attacked by contaminating agents, and disturbed by foreign objects. This is why you need to know how to buff a car and you won’t have to take it to the shop anymore. You will save some cash if you know how to do it on your own. Rinse the whole vehicle. Beginning from the top and then all the way down, to wash one section at a time while rinsing the entire vehicle per section. If your car is already clean, do one last rinse and use the chamois to dry the car starting from the top all the way to the bottom again. The usual RPM of the rotary buffer is 1000, which can emit a large amount of heat on the surface being currently polished. The masking tape should be used to protect anything that you should avoid burning or scuffing. These are the head lights, badges, tail lights, moldings, and others. If it is plastic, put the mask on it. A lot of cars use vinyl or painted pinstripes, so put a mask on those to keep them from being damaged by the buffing pad. Put a lot of buffing compound to any surface that’s been heavily scratched. Buffing works by removing a find layer of paint to expose the fresh paint, and the compound will become a paint stripper. Putting wax on your car right away will change the protective properties of the original coat. 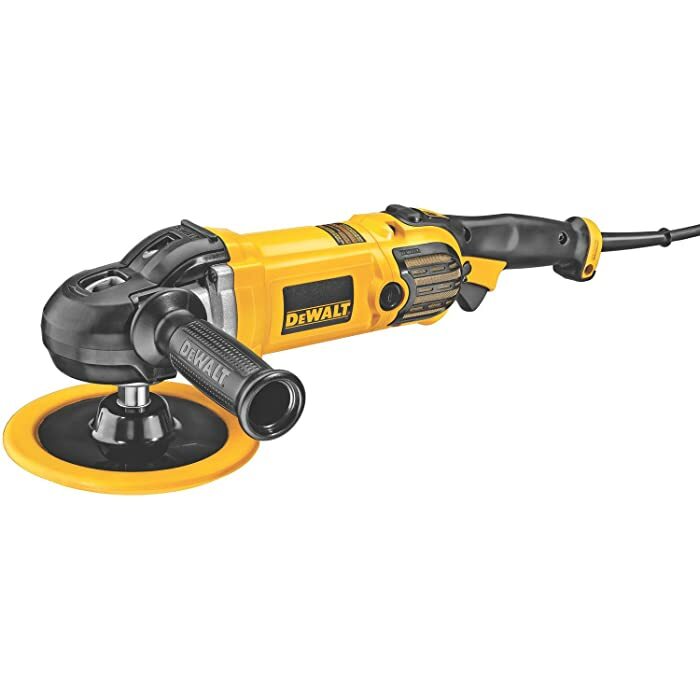 The next thing to do is to spread the compound evenly on the whole area while using the buffing pad to make sure that the compound does not splatter on the adjacent surfaces. Do not allow the compound to reach the chrome, glass, or rubber. Turn on the buffer and do circular motions on the area, while completely holding the pad flat the whole time. The buffer needs to be rotated at an angle or the paint surface can burn if you apply too much pressure and you will start to see swirling. Work one-quarter of the panel each time until you achieve a bright gloss. The surface needs to feel smooth so it will look new and fresh. If the paint’s condition is still good and needs only a bit of freshening up, do the same method, but instead of buffing compound, use car polish. This way, you won’t need the same amount of polish like the buffing compound because the polish covers a bigger area and will only remove a little paint. 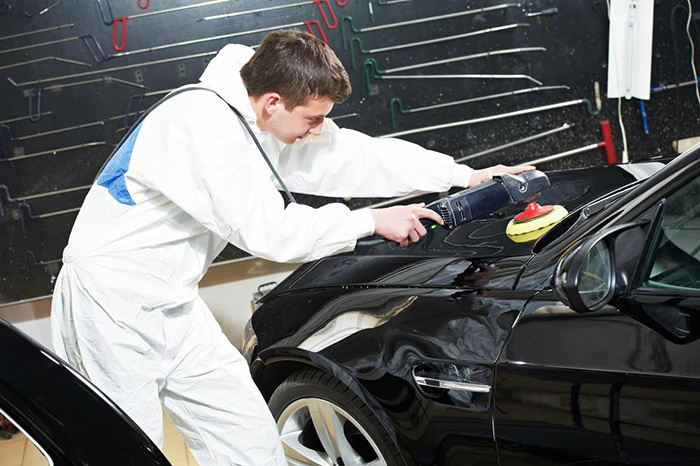 Go with the process across the whole surface of the car until the paint has been fully restored. It is recommended that buffing should only be done once every year. If you store your car in the garage and the paint is in excellent condition, apply polish instead of a compound. If you are residing near the coast and your car is left outside, you might need to buffer the car more often. This is because of the high salt content of sea air, and this causes the paint to oxidize quicker than usual if the climate is dry. 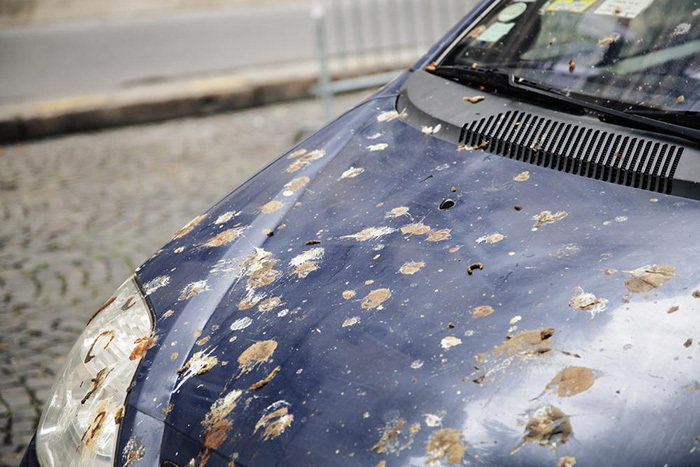 Cars that are parked under a tree will normally be covered in tree sap and droppings from birds, which causes damage to the paint. You might need to buff your car twice or thrice a year if this happens. You need to use a clean buffer pad to apply the wax. Spread it evenly, while pulsing the trigger buffer gently. This will make sure that the wax will not stay evident on the surface. Cover a quarter of the panel before removing the wax. Some waxes will need a set time before removal, so follow the directions as indicated on the bottle. A microfiber cloth should be used to remove wax from the surface, using circular motions so that it will be glossy. Do this again across the whole surface of the paint since it is recommended that the car should be waxed every three months, waxing the car is an important skill to have because it makes the car look awesome and you will save money. When you have been polishing for a while, apply more pressure. Just make sure you don’t overdo it because the paint might get damaged. Do not lift the polisher while it is turned on. You will see the fresh layer again – This is the number one effect of car buffering. Underneath the paint that got exposed to the elements for a few years is a new layer that will come out. If you do this correctly and using the right type of compound, this will be a good way to ensure that your vehicle will look new again. 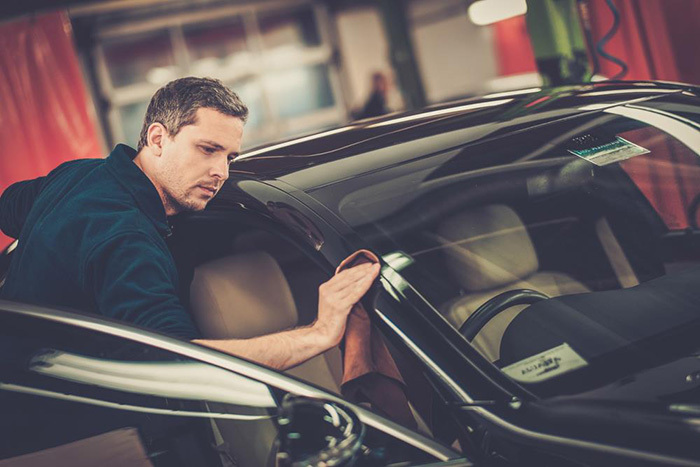 The finish will last longer – You need to take care of your vehicle to maintain its good appearance. 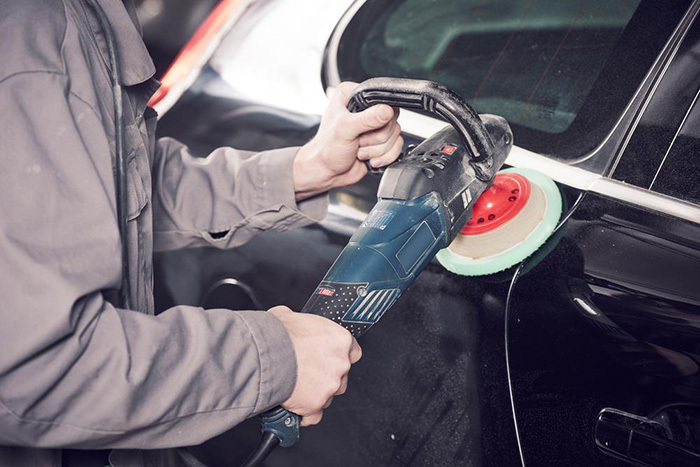 Buffing is one way of doing this because if you take care of the car’s exterior, your car’s finish will last longer. Minor scratches will be removed - Even if you are very careful, scratches will happen on your car’s coat. Buffing the car will get rid of the blemishes that are not too deep. Knowing how to buff your car will save you time and cash because paying for services is more expensive. You will also know more about maintaining your car properly because you will know how much work and effort is needed to maintain its coat. This will make you value your car even more, but make sure that you will follow the given tips correctly.